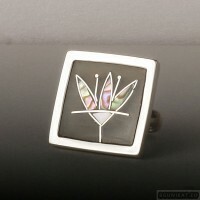 Handmade sterling silver ring flower with horn and mother-of-pearl. The horn is polished and fi.. 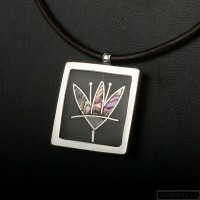 Handmade sterling silver necklace flower with horn and mother-of-pearl. The horn is polished an..